Happy Friday! I have a super gorgeous new release to kick off your weekend! 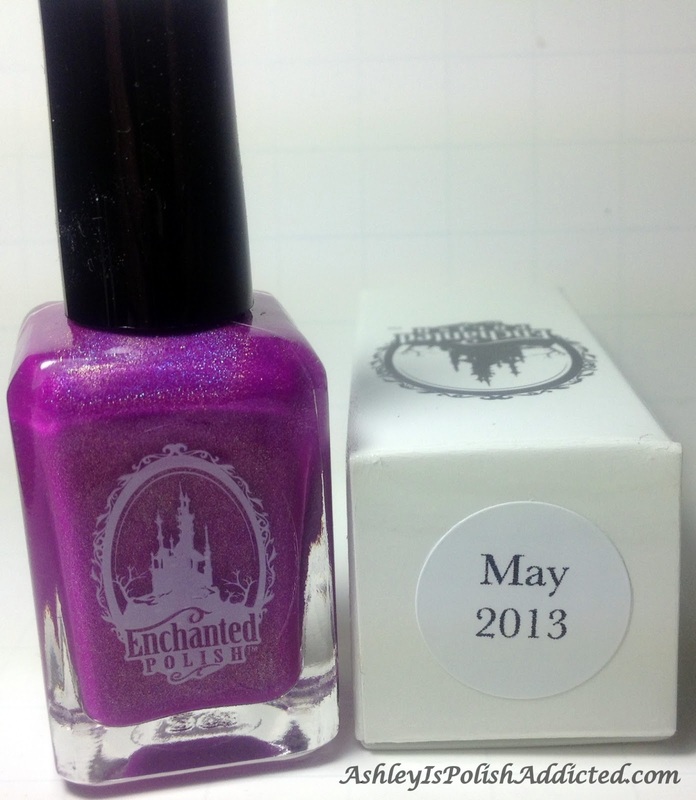 Enchanted Polish May 2013 was released earlier this week and I received mine in the mail last night and couldn't wait to get it on my nails! I was not disappointed at all - this is such a gorgeous color and the formula is perfect. May 2013 is a red-toned violet shade that has a soft "tightly-scattered" or "loose linear" holographic effect. 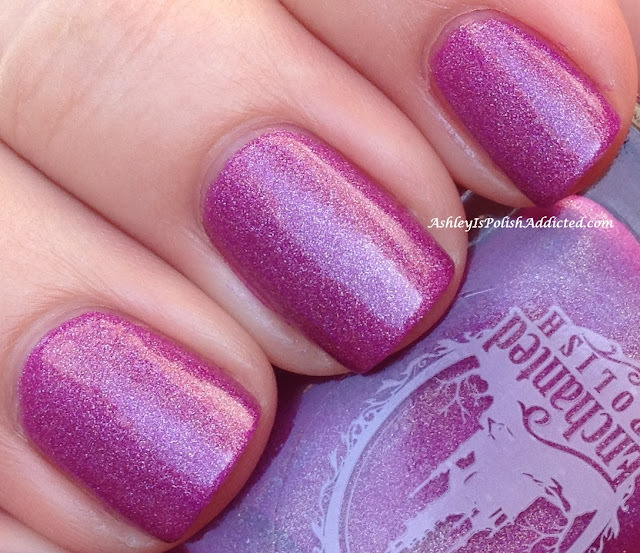 These are my favorite types of holos because the holo doesn't detract from the color of the polish, it adds to it. I used two coats of May and no topcoat for all of the photos. 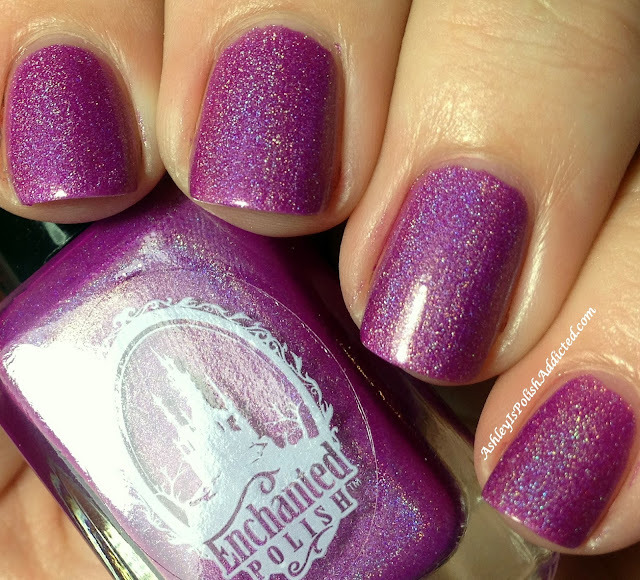 Be sure to visit Enchanted Polish on the web and like them on Facebook to stay up-to-date on the latest news, restock information and swatches! 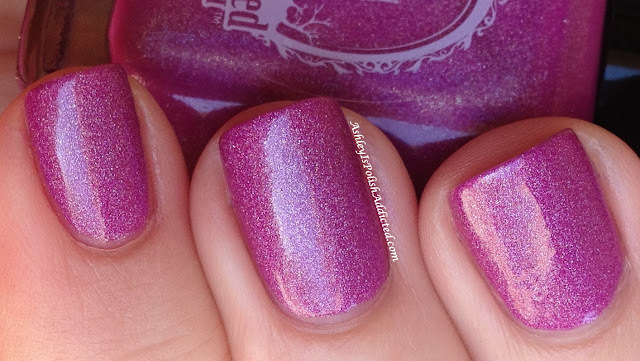 such a pretty purple holo!! So, so gorgeous! 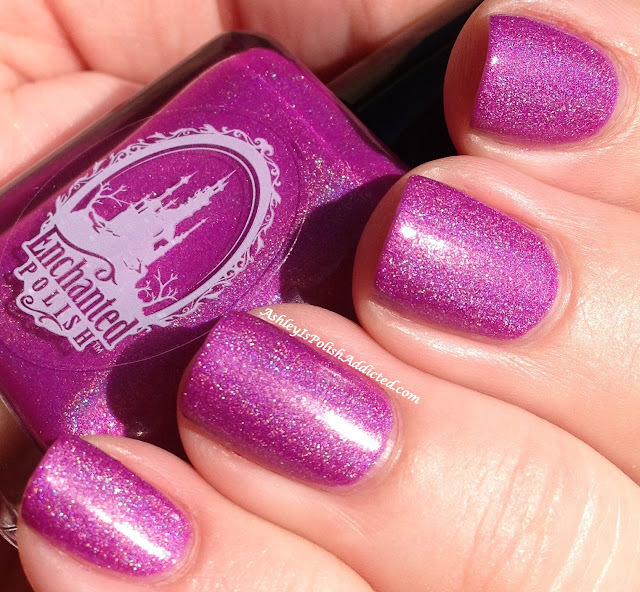 I am relatively certain I'll never catch an Enchanted restock in all of my life. So I have to live vicariously!